Historically, the Paul’s Guitar (like the Modern Eagle before it) has been a realization of Paul Reed Smith’s latest discoveries surrounding tone. This revamped model is intended to represent Smith’s vision as both a guitar maker and a guitar player. Smith's personal design choices include mahogany bodies with maple tops, Honduran rosewood fretboards, Nitrocellulose finishes, “Brushstroke” bird inlays and narrow pickup bobbins. 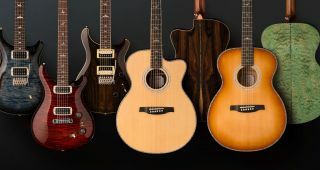 The Paul’s Guitar model also includes PRS’s TCI (Tuned Capacitance and Inductance) treble and bass pickups with two mini-toggle switches that allow players to put either or both pickups in either humbucking or true single coil mode.